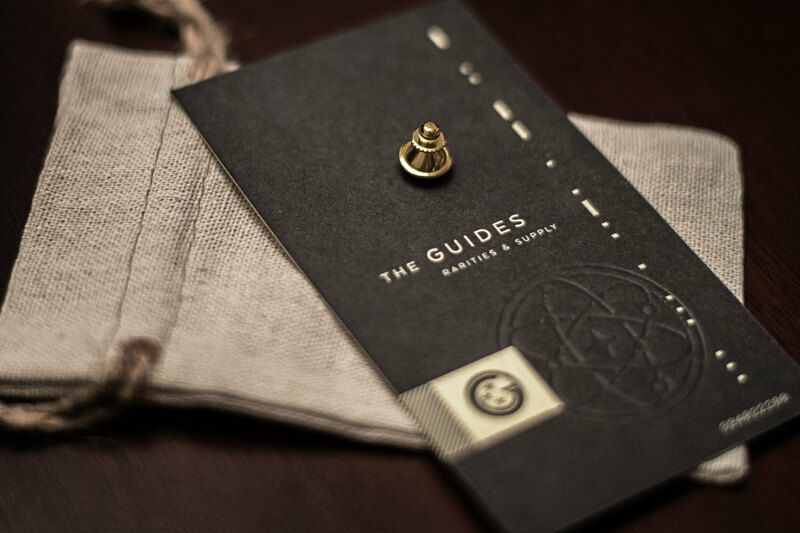 Limited edition first run of The Guides Quantum Insignia. 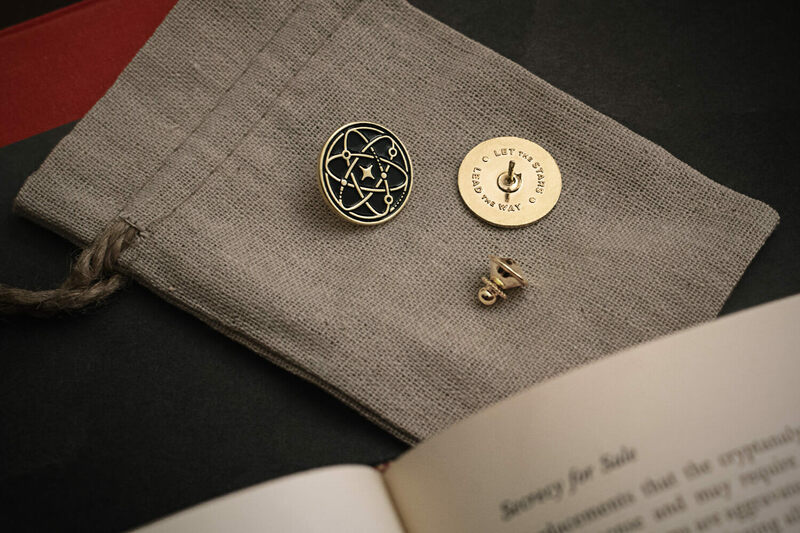 This soft enamel pin with intricate custom backing detail and an elegant jewelry clutch, will perfectly secure to the lapel of your lab coat. 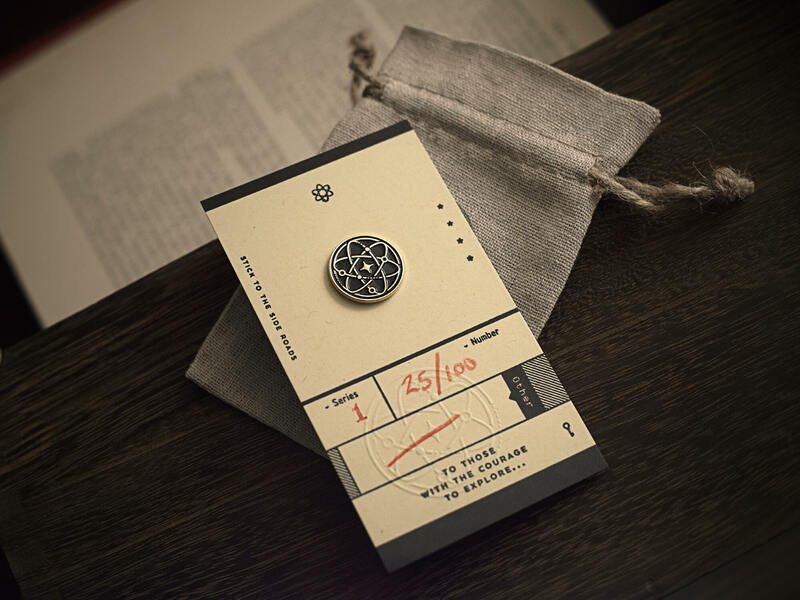 Comes with hand-numbered letterpress card packed in a stamped muslin bag.